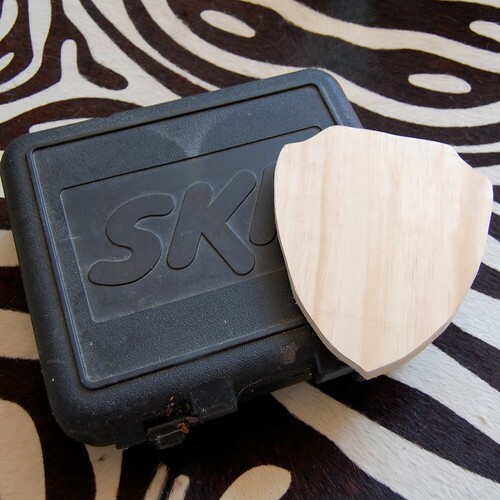 Ever wanted to go on a safari and hang your find proudly mounted on your wall? No, I don't mean the kind of safari where you wear khaki and shoot a poor animal in the Serengeti. I mean a thrift store safari. They have quite the selection of wild (stuffed) animals there. With a few crafty moves you could have a mounted head collection of your very own without harming a single hair on anyone's head. 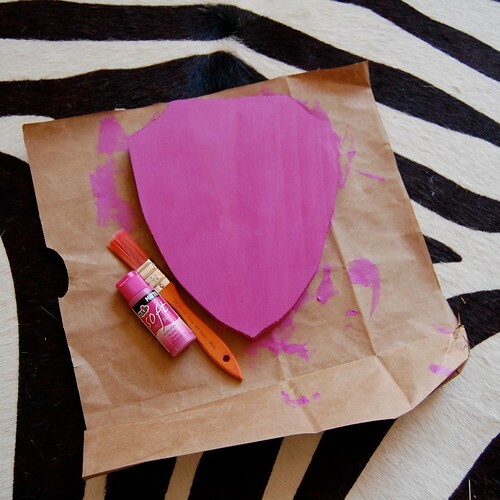 Once my paint dried completely it was time to mount Mr. Zebra. 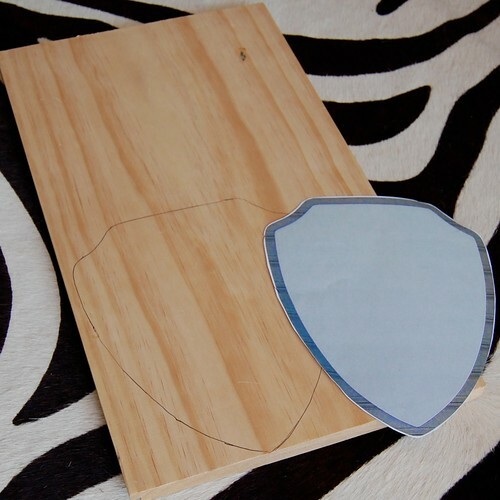 Using a combination of screws and Tacky Glue I attached the zebra to the plaque. You will just have to eyeball this part. 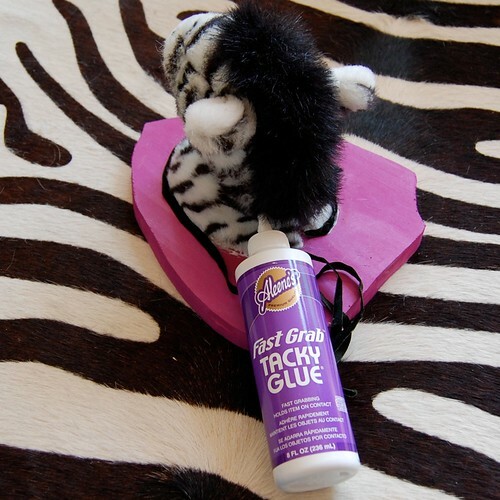 You want to pull the fabric on the back of the zebra's neck taunt so that their head is up and not sticking straight out. It is best to nail or screw the fabric in place for this. 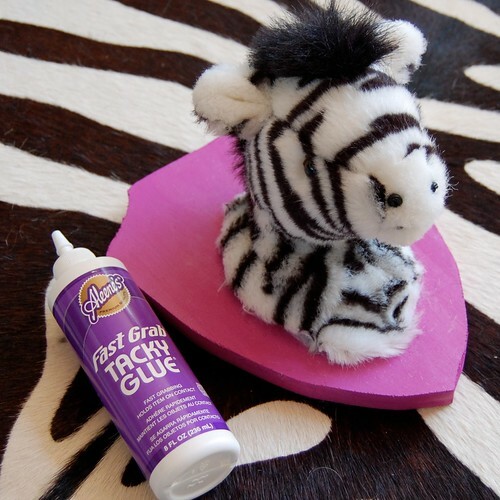 Once your stuffed animal is positioned how you want them use Tacky Glue to attach all the stuffed animal edges to the wooden plaque. So go ahead do a little poaching. Thrift store poaching of course. 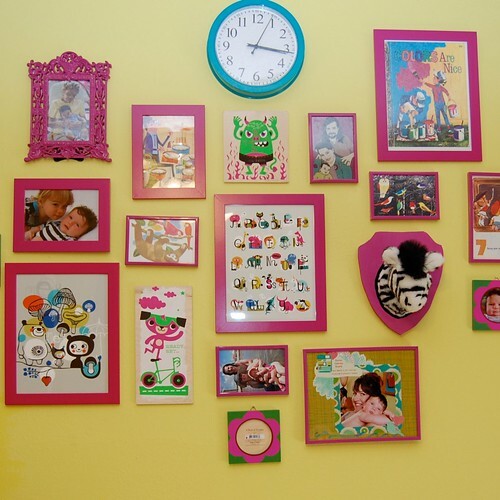 There are plenty of lions, tigers and bears just waiting to grace your walls. 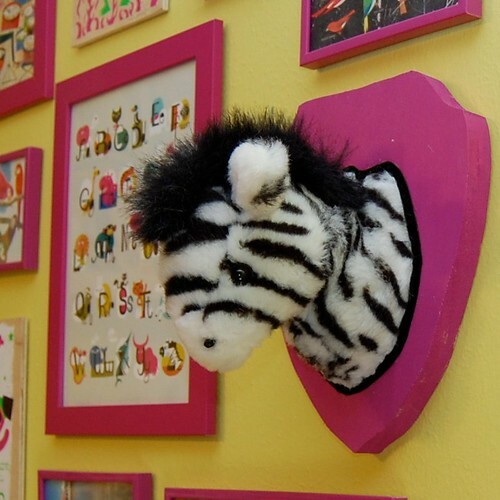 This would also be an adorable way to display your child's favorite stuffed animals once they outgrow them. There is a Cabbage Patch Kid and a stuffed pink gorilla in my house who may soon have something in common with the Headless Horsemen. Really cute gonna have to try this 1 or 4 times. Such an awesome idea! I featured it on my blog. Pinned this! This would be cute to do with all their favorite stuffed animals, even after they get worn out. Just curious, what are the characteristics of the end result of using the fabric paint that you prefer, that makes you choose to use it over something like acrylic? Is it texture, or the color or what? Interested, because I'd never heard or thought of it before and it sounds intriguing. Also, LOOOOVE this idea! My friend and I had considered doing something similar but out of paper mache over a frame work, but yours is infinitely cuter and easier! Oh I am so doing this! Hysterical! 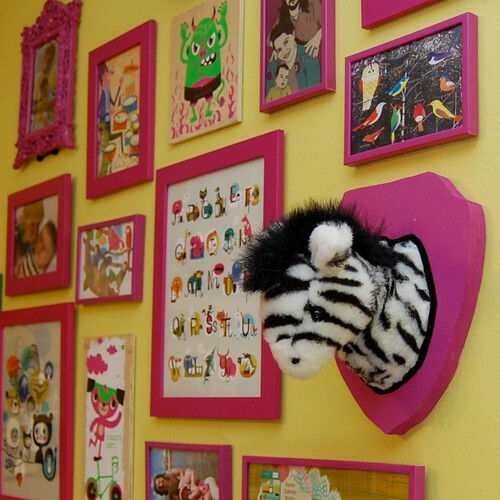 "This would also be an adorable way to display your child's favorite stuffed animals once they outgrow them." Seriously? If my mother did this with my favorite stuffed animals after I outgrew them I would've murdered her and have the decency to not mount her severed head on my wall. 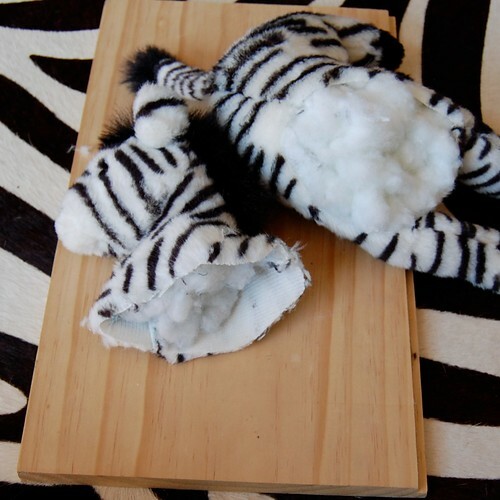 i could never cut a stuffed animal in half.